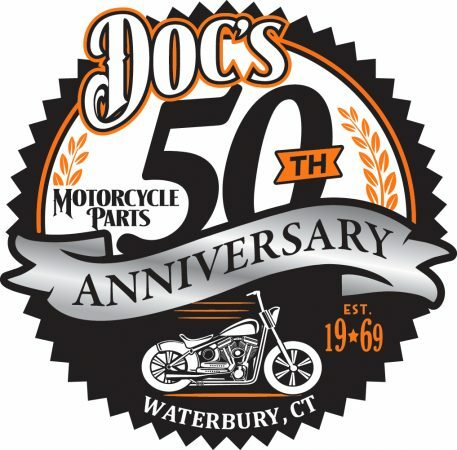 NAUGATUCK, CT – Motorcycling is like so many other sports. Training and practice can help immeasurably in mastering skills, learning new ones and correcting bad habits that have developed over time. Think about it for second: Golfers often seek out a pro to improve a swing. So do tennis players. Skiers and snowboarders take lessons to be better on the slopes. 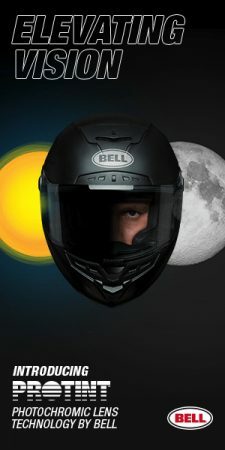 So why do so many experienced motorcycle riders feel training isn’t needed to help sharpen their physical riding skills and enhance their mental skills; the purpose being to reduce their risk of becoming a fatality? 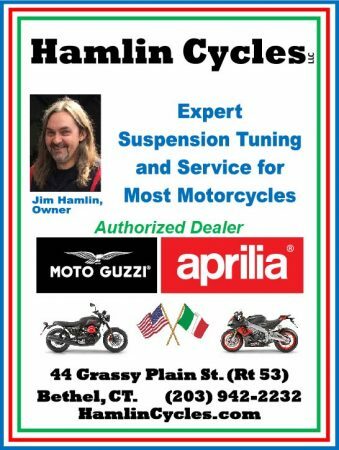 I’ve had opportunity to work many open houses, motorcycle shows, and other events interacting with riders during nearly two decades of working as a motorcycle safety professional. I’ve frequently been brushed off at these events when attempting to speak with riders about the different experienced rider courses offered. A fairly consistent comment I’ve heard is, “I already know how to ride.” This attitude is common among too many experienced riders. 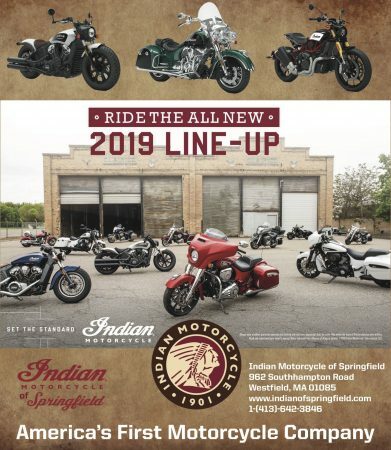 Data contained in the Connecticut Rider Education Program’s annual Motorcycle Safety Report confirms my suspicion that many experienced riders refuse to acknowledge that their skills may be lacking. The report issued earlier this year revealed that of the 4,365 students who took CONREP courses in 2017 at the 13 training locations, 4,339 took beginner courses. 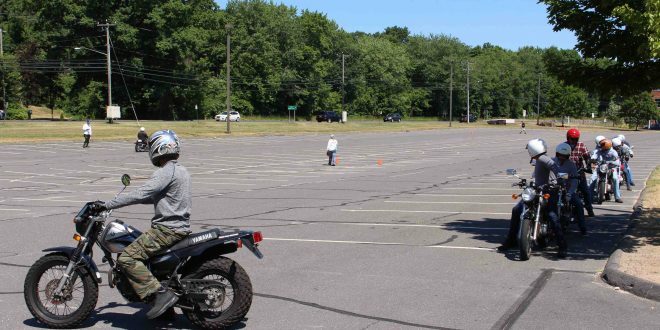 Only 10 students took the advanced rider course and no one – yes, not one single person – enrolled in an experienced rider course. This is a very disturbing number. CONREP’s goal is to reduce the number of injuries and deaths among motorcyclists – operators and passengers. And that’s the purpose of rider education – for newcomers and long-time riders alike. 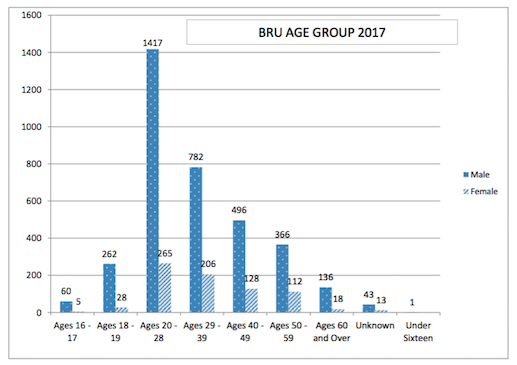 The statistics contained in the report show a rather consistent rate of fatalities: 48 in 2012, 58 in 2013, 55 in 2014, 53 in 2015 and 52 in 2016. (A figure for 2017 wasn’t available.) Deaths among un-helmeted riders trended slightly upward during that five-year span: 26 in 2012, 22 in 2013, 32 in 2014, 31 in 2015 and 36 in 2016. What strikes me about the death rate is that it’s remained consistent in the face of declining interest in riding. A chart near the end of the report shows how novice enrollment in CONREP courses has declined every year for the last years. A jump in enrollment in 2011 and 2013 can most likely be attributed to mandating instruction to get an “M” endorsement. Looking back 10 years shows an even greater decline – from 6,315 students in 2008 to 4,339 in 2017. The greatest percentage of entry riders in 2017 were in the younger age brackets. The optimistic side of me feels many of these novices were seeking to reduce their risk of becoming a fatality statistic through proper training. However, the pessimistic side of me wonders how many took the training only because it is required. 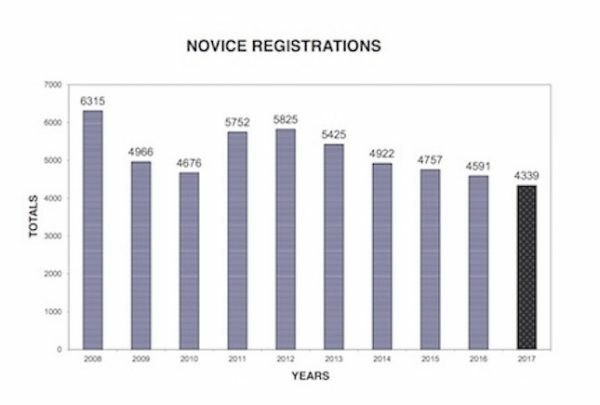 While it is encouraging to see so many riders trained over the years, the overall decrease in students registering is discouraging. The lack of experienced riders wanting to keep their riding skills sharp and fresh is even more discouraging. For what it’s worth I took an “Refresher Course”, (not sure what experience level it was), in 2011, when I moved out to California. California is Motorcycling Heaven, by the way. 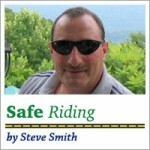 I wanted to be “up to speed” on California laws and riding habits. When are we going to get lane-splitting legalized in Connecticut, by the way? Last year, for my 60th birthday, I took a track day with Penguin Racing. I definitely learned some track techniques that have served me on the street. I concur with RevRay. The track day was definitely exciting, and that may be a key to getting more experienced riders sign up. Great article, but I think you why advanced MSF courses have lack of interest. BORING base a course on Moto gymkana, high speed cornering and wheelies; now that will rev up interest. All while improving riding skills. See ya at church.